Africa-focused Gem Diamonds (LON:GEMD) said Thursday it has received an acquisition offer for its Ghaghoo mine in Botswana, which it discontinued earlier in the year due to a decline in prices. Announcing its half-year results, the company also said its revenue fell to $93 million for the six months to June 30, from $109 million a year earlier, due to a drop in output and diamond prices. The average price per carat fell to $1,779 for the period, from $1,899 in the same period last year, while carats recovered fell 12 percent to 50,478, the company said. The miner remains cautious about the state of the global market for both rough and polished diamonds, and said that financing challenges persist. 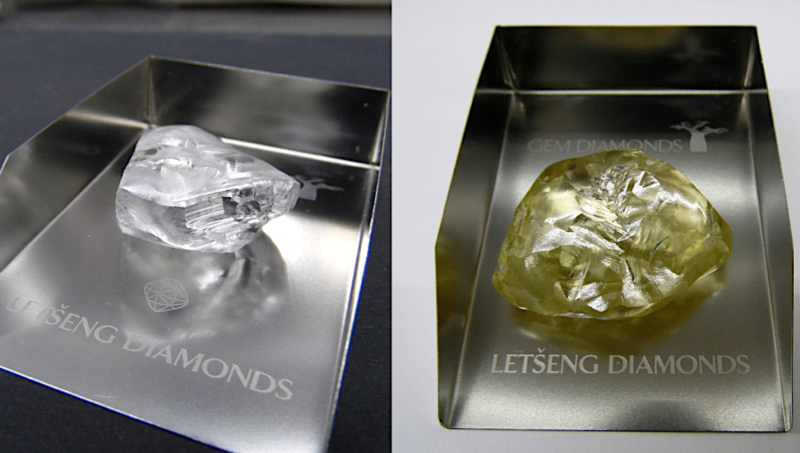 Gem Diamonds, which also operates Letšeng in Lesotho, its flagship mine, produced 50,478 carats in the six months to June 30, compared with 57,380 carats in the same period last year. “The updated life-of-mine plan [at Letšeng] was implemented during the period, with the objective of reducing waste tonnes mined and improving near-term cash flows, and mining progressed well against this plan during the period,” the company reported. The miner said it remains cautious about the state of the global market for both rough and polished diamonds, noting that financing challenges persist and that the volatile macro-economic environment continues to create challenges for the middle diamond market. Gem Diamonds placed Ghaghoo on care and maintenance in February this year, with the intention of resuming operations once market conditions improved. While the company didn’t reveal who is interested in acquiring the mine, it said the board was considering the offer.